I recently watched, for the umpteenth time, The Princess Bride, one of my all-time favorite movies. This movie has it all--action, adventure, humor, romance, and...wait for it...a teaching reminder. “A teaching reminder?” you say. "Inconceivable!" Yes, the movie teaches viewers how to navigate the Fire Swamps and why you should never trust a six-fingered man, but during my most recent viewing of this classic, I was reminded of an important instructional strategy in the four-second clip below. ​Vizzini’s comment reminded me of the importance of waiting, something typically viewed in our society as a negative, but in education, is imperative in certain situations. Let me explain. In our teaching credential programs, we learned about wait time, the practice of pausing several seconds after posing a question, allowing students more time to formulate thoughtful and detailed answers (as well as giving more students the opportunity to answer the question). But there is another kind of wait time, one that seems obvious, yet in my opinion, is often overlooked. I’m talking about waiting until every student is paying attention before delivering instruction or giving a direction. Sounds simple, right? But do we actually do it? Do we have the attention of all our students before giving a direction? Sure, those students seated in the front couple of rows or at the front of the line are focused on what we’re saying, but what about those in the back? Are they listening? Are they looking at us? Are they even facing the front? Unless we demand the attention of all our students, chances are we’re not going to get it. And it’s okay to demand students’ attention, because this can be done in a respectful way. I’m not saying we should mimic an impatient Vizzini and say to our students, “I’m waiting!” in a rude tone of voice. What I am saying is that it’s okay to wait until you have everyone’s attention. And you may have to wait several moments. That’s okay. No, it’s not just okay—it’s a cornerstone of effective teaching. Because if you don’t do this, some of your students will miss out on what you’re saying, whether it’s a simple direction or something more important. If they’re not listening, it doesn’t matter what you’re saying. So the next time you’re about to give a direction or deliver a lesson, think of Vizzini. Just try and wait a little more patiently than he did. Ever needed a pick-me-up? I'm not talking about a Venti Espresso from Starbucks or a Red Bull energy drink, but rather a boost of the verbal variety. Ever needed a kind word to lift your spirits or encourage you to keep going? I have. I love my job. I mean, I really love my job. Having the opportunity to interact with students, parents, and staff at my school on a daily basis is incredibly rewarding. Seeing smiling faces. Giving high fives as students are dropped off in the morning. Seeing the "light bulbs" turn on for students as I visit classrooms. It's awesome. I am truly blessed to do what I do. But if I'm being honest, I'm tired. My teachers and support staff are tired. I'm writing this post on a Sunday afternoon in mid-May, and there are a lot of balls in the air with only three weeks to go in the school year. Finishing up state testing. End-of-year district testing. End-of-year field trips and grade level activities. These on top of the typical day-to-day responsibilities. I'm tired, both physically and mentally, and a Carmel Frappuccino can only do so much. I've been in need of a boost, and this past Monday I got one. At 9:32 p.m. I received an email from the parent of two of my students. It was a simple message containing four short sentences. It simply thanked me for what I do and let me know I was appreciated. Four short sentences...that brought me to tears. See, it was exactly what I needed to hear (or read) at that exact moment in time. The parent's words had a profound impact on me that didn't just make my day, they buoyed me for the rest of the week. As my friend Cori Orlando has so beautifully written, words are powerful. They have the ability to build up, to encourage, to inspire. Speaking or writing kind words is so easy to do, yet this simple action can have an impact that is immeasurable. Receiving this encouraging message from a parent last week reminded me of the need to speak life into those around me. I'm challenging myself and anyone reading this to make someone's day. Speak, write, text, or email some encouraging words. Express your appreciation. Say, "Thank you." Go ahead, make someone's day. You never know -- you may make his/her week, month, or even year. My school is full of amazing students. 875 of them to be exact. While part of my job as a principal is working with students who, at times, make choices that prevent them from meeting the school’s behavioral expectations, I also get to see daily examples of kindheartedness, sharing, perseverance, and forgiveness. Kids get a bad rap sometimes, but today I was reminded just how incredible our future generation is. Today I experienced impromptu student awesomeness. Today was the day our 5th graders officially recorded their mile run times as part of California’s physical fitness assessment required of all grade 5 students. They’ve been training all year, spending the first part of each day out on the track building up their stamina, working up to today’s run. Soon after the bell rang to start the day, I needed to relay a message to one of our 5th grade teachers so I headed out to the field. As I approached, I heard a lot of noise coming from the students gathered on the grass. The closer I got, I realized the noise was cheering. Students cheering for each other. When I arrived at the field, I observed the boys circling the track, pushing themselves to get their best times yet. And I watched and listened with pride as the girls cheered on their male classmates, filling their tanks with the fuel of encouragement. “You cheering for the guys?” I asked a few girls as I walked past. During lunch, I walked through the staff lounge and heard the 5th grade teachers talking about the mile run and its student cheering section. “That was so cool!” I said. “Did the boys do the same thing for the girls?” I asked Mr. Walton, one of the teachers. “You didn’t see what the boys did?” he asked. I hadn’t, as I had left the field before the girls began running. Mr. Walton proceeded to tell me that not only did the boys enthusiastically applaud for the girls with a variety of creative cheers, they made a tunnel with their arms for the girls to run through at the conclusion of their run. Mr. Walton said the girls in his class were so appreciative they gave the boys an extra cheer when they returned to the classroom. But the best part? It was totally impromptu. No planning by the teachers. The students organized it all on their own. They displayed kindness, encouraging each other, not because they had to but because they wanted to. Mr. Walton got goosebumps telling the story. I got goosebumps listening to the story. I’m getting goosebumps again as I write this story. Today our students displayed impromptu student awesomeness. Our future is in good hands. 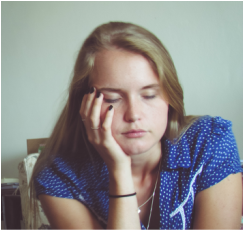 Do Students Go Home Tired, and If So, Why? Have you ever finished your day tired? ​Pretty silly question, right? Of course you have! We all have. Being a teacher or administrator is a hard, tiring job. Last week, as is sometimes the case in my role as a site principal, I spent the majority of my day attending SSTs and IEPs. At the end of the day, though I enjoyed discussing student progress during my meetings, I walked back to my office exhausted. I mean, really tired, and this got me thinking. Why was I so tired? What did I do? I spent most of the day sitting down, not moving around much, yet I felt more tired than on days when I am constantly on the go and moving around campus. If you’re an educator, I’m pretty sure you can relate to this. It seems the days we spend sitting in meetings or traditional “sit and get” professional development are much more tiring than a typical day of teaching and interacting with students. When our students go home, are they tired? And if so, why? Is it because they’ve been working hard, up out of their chairs, interacting and collaborating in rigorous and relevant activities with their classmates? Or is it because they’ve been sitting all day? When my teachers finish a day of staff development I helped plan, are they tired? If so, why? Is it because they were given opportunities to get out of their seats, to collaborate with their colleagues, to work hard at learning or creating something that will improve their practice? ​Or is it because they were forced to sit and listen all day? Like adults in staff meetings or professional development, students need to get up and move, to engage in discussion about what they’re learning. Yes, there’s a place for quiet, independent work, but if that’s all students are doing, all teachers are doing, there’s a problem. As I plan professional development activities for my staff, I’m challenging myself to remember what it’s like to sit in meetings all day. I invite you to keep this in mind too as you plan your daily lessons. Who’s with me?